Finding Our Muse: since when does Angry Orchard make wine? 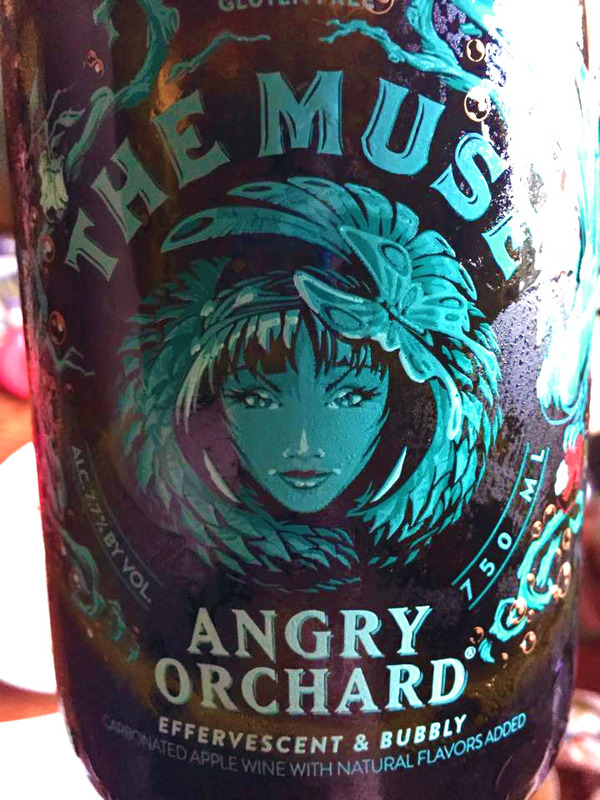 As a group that combines wine with stories, Angry Orchard’s “The Muse” sounds and tastes like the perfect addition to our site. As weird as it is that Angry Orchard now makes wines, we can attest that they are definitely worth giving a try! While Paula and I have only tried “The Muse,” Kristen has taste-tested all three of AO’s new Ciderhouse Collection: Muse, Strawman, and Iceman. It started as a joke on a professor of hers who not only looks like AO’s Iceman bearded mascot, but worked with ice (modern-day Kristoff style). It turned into a hunt for the bottles, resulting in her sharing a bottle of The Muse with Paula and I. Angry Orchard claims this trio is packed with rare and innovative apple ciders. 1) Iceman – Inspired by the Ice Ciders of Quebec, Kristen says this crisp, full, smooth, icy apple wine is worth the money. 2) Strawman – Inspiried by English and French countryside farmers, Kristen says this thicker, citrus tangy, almost beer like flavor would be surprisingly great for Game Day snacks and BBQs. 3) Muse – Inspired by the sweeter demi-sec Champagnes of France, this sweeter, bubbly, rich apple wine is the cousin to Iceman. If you ever wondered what boozy, bubbly apple cider tastes like, you have to try “The Muse.” It’s sweet yet crisp, with thick white bubbles and a smooth finish. Sweeter than cider, this wine is the unexpected yet beautiful marriage of apples and wine. It’s not quite wine and it’s not beer or liquor, so it’s hard to pick the setting for the drink. But while it may not satisfy a pre-existing craving, it will definitely create a craving for more once you’ve had a sip. The only issue is that it’s a challenge to find. Kristen spotted it with the rest of AO’s products at Wegman’s, hiding by the beers instead of the wines. The bottle costs around $13-15 and is 7.7% alcohol. Check out the Official Ciderhouse Collection Website for more details!